Tuna are large predatory pelagic fish that swim through the seas of the world. 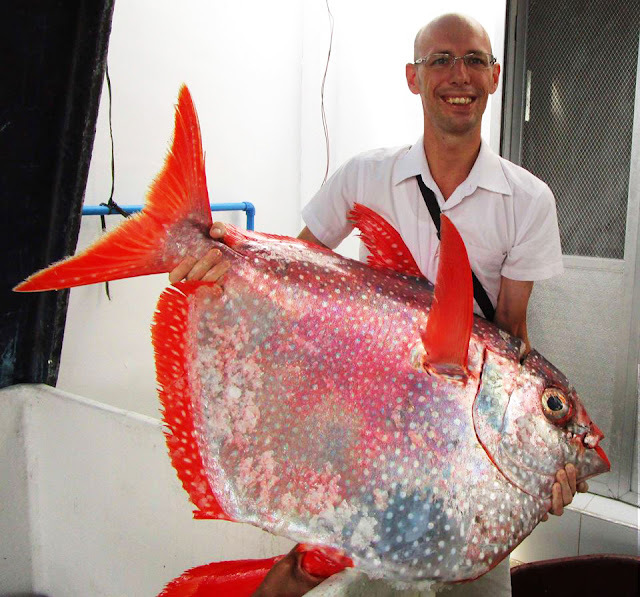 In terms of value and volume, they are some of the most important species for the Philippine fisheries sector. 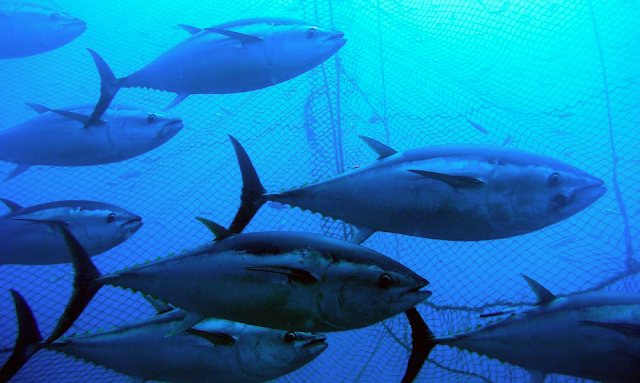 The most commonly-caught species include Skipjack, Yellowfin and Bigeye Tuna – taken using a variety of gear ranging from purse seine nets to circular handline reels. Tuna provide excellent income for fisherfolk and fishing companies, while generating thousands of jobs in vessels, canneries and other parts of the supply chain. Because of their high value in local and international sushi restaurants, many fishers focus on catching Yellowfin Tuna (Thunnus albacares). However, in recent years the rising number of fishers and large fishing vessels targeting these fish have depleted stocks, putting the livelihoods of Pinoy fishers and other tuna sector workers at risk. Besides promoting sustainable systems like handline fisheries, limiting fishing effort and improving enforcement, closed cycle aquaculture or breeding tuna can be a #BestAlternative – especially for the Philippines. Owing to technical difficulties, most aquaculturists still think producing captive-bred tuna from eggs is impossible – but much has changed in recent years. In Europe and Japan, the culture of tuna started many years ago with fattening operations. Here special purse seiners target wild juvenile and sub-adult tuna, which are carefully caught and towed back to special fattening farms. Upon arrival, these tuna are transferred to large floating cages where they are fattened to attain better marketable sizes and to improve the fat percentage of their meat. Fatter tuna fetch higher prices. Since pellet feeds for tuna are still under development in Europe, fresh fish like sardines and mackerel are used as feed. The feed conversion ratio of fresh fish fed to these tuna is not yet very efficient and approximately 15 to 20 kilograms of other fish is used to produce one kilogram of tuna. About 10 years ago, with the number of fattening operations rising and most tuna stocks overfished or fished close to their maximum sustainable yields, a number of governments, nonprofits and other stakeholders expressed their concerns about the sustainability of these farming practices. This eventually drove the European Union and Japanese governments to steer their aquaculture sectors away from fattening wild-caught juvenile fish and instead invest in developing technology for the sustainable closed-cycle aquaculture of tuna. Today hatchery projects for Atlantic Bluefin Tuna (Thunnus thynnus) are already operating in Spain, Malta, Greece, Croatia, Egypt and Turkey. Since 2014, many of these projects have successfully produced small quantities of fingerlings and some harvestable fish. The first tuna products from these efforts are already available in the Netherlands. In Japan, scientists have been working hard to close the lifecycle of the closely-related Pacific Bluefin Tuna (Thunnus orientalis), a species which is also found in the Philippines, especially around the recently-protected Philippine Rise, east of Luzon. After many years of trial and error, approximately 20 hatchery facilities are now producing Pacific Bluefin Tuna with an average survival rate estimated from 3 to 5%. 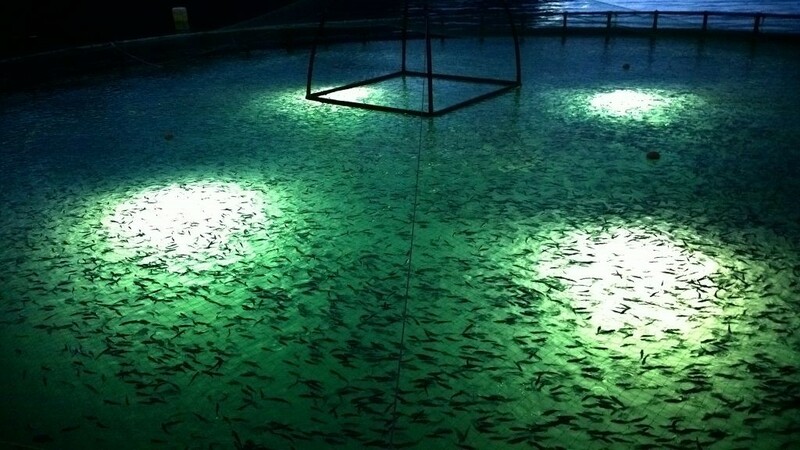 In 2016, these hatcheries together produced an incredible 500,000 fingerlings! The sales from grow-out operations using hatchery-produced Pacific Bluefin Tuna have lifted off as well, with 900 metric tons of sales in 2016 and over 1000 metric tons of sales in 2017 – thereby proving beyond a doubt that the closed-cycle aquaculture of Bluefin Tuna is viable, profitable and an excellent alternative to wild-capture fisheries. In the meantime, two projects in Panama (South America) and Bali (Indonesia) have been focusing their efforts on Yellowfin Tuna. Both projects have been able to produce plenty of eggs in captivity and some fingerlings. Although there are still plenty of remaining challenges in improving the survival of tuna larvae and fingerlings, improving the sustainability of feeds and minimizing the environmental impacts of farming activities, the potential of the sector is clear. The Philippines, with many islands and surrounding calm and productive waters, sits at the centre of the natural spawning grounds of wild Yellowfin Tuna. Juvenile tuna love these warm and calm waters, teeming with food. This might just give the Philippines a big advantage in the future closed cycle culture of Yellowfin Tuna. The Philippine Bureau of Fisheries and Aquatic Resources (BFAR) has also realized the potential of tuna aquaculture. On 11 July 2018, they released a statement that the Bureau of Fisheries will collaborate with the Japanese government to start Yellowfin Tuna fattening operations in Samar, where juvenile tuna will be gathered from spawning grounds in municipal waters for farming. This is an innovative and hands-on move by BFAR. However, with Yellowfin Tuna stocks in the Philippines and Western Pacific Ocean already under severe pressure, collecting wild juvenile tuna from spawning grounds might not be the most sustainable approach. The same approach has been tried with groupers and lobster, where undersized individuals were caught for fattening purposes – and both practices resulted in a population collapse. Since the Japanese are already producing hundreds of thousands of hatchery-bred juvenile tuna, perhaps the Japanese government can be requested to focus on the closed-cycle aquaculture of Yellowfin Tuna in their collaboration with BFAR instead. As an alternative to catching undersized tuna, the Japanese could for example build a hatchery and farming research centre for Yellowfin Tuna in Samar and share their knowledge on how to culture tuna from eggs with Filipino aquaculturists. In doing so, they will capacitate Filipinos, create a truly sustainable aquaculture sector for Samar and many other island provinces, and let locals truly benefit from their investment. Jonah van Beijnen believes that sustainable production and consumption of seafood is the key to ensuring a better world for all people. Ten years ago, he co-founded Fins and Leaves to develop and successfully market one of the Philippines’ first grouper (Lapu-Lapu) hatcheries. Now based in Spain and a Best Alternatives Campaign proponent, he continues to assist nonprofits, corporations and governments in improving the sustainability of their fisheries and aquaculture operations, focusing on high-value species like grouper and tuna. For more information, please contact jonah@vb-consultancy.com or see his work on Researchgate. Founded by environmentalist Gregg Yan in 2014, the Best Alternatives Campaign is an environmental communications think-tank which publicizes sustainable and profitable solutions to meet a host of ecological challenges – ranging from better ways to generate renewable energy to best practices for the seafood industry. For more information, please contact BestAlternativesCampaign@Gmail.com.